I think the income or p&l statement which catalogs earnings and expenses is more telling about a person’s financial situation on a day to day basis than the balance sheet which is where you calculate your net worth. The balance sheet is more useful when you are considering buying or selling assets. So for example, if you were to buy on credit, the seller/creditor would consider your income statement to see if you made enough money to make payments. If you were paying cash, the seller would consider your balance sheet and net worth to see if you had enough money. Here’s my statement of income. To retain a little bit of privacy I have normalized all numbers to my gross wage income which I in turn have normalized to units of $100. Despite being financially independent, I am still “gainfully” employed. 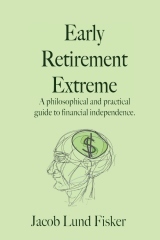 In fact, one of my unsolved problems is that retirement is generally for people in their 60s and 70s. Even mainstream “early retirement” is for people in the 40s and 50s. However, I don’t see myself playing golf all day with a bunch of 40 year old geezers 🙂, so I still pretend to have an ordinary career. Another benefit of normalizing to my wage income is that it provides a meaningful way of comparing your numbers to mine since most readers are presumably still working. Thus before I pay for living expenses, general expenses, taxes, etc. I have $100 dollars coming to me. Cost of living in the upper parts of Silicon Valley (that’s a specific as I am going to get) are pretty high, so 30% of my income goes towards food, rent, insurance, gas, … In the midwest this number would be cut in half! Living on the coasts is very expensive. I was in sticker shock for months when I moved here. My first piece of advice to those who want to save money is to NOT live on the coast and move inland ASAP. When we lived in the midwest cost of living was about half of what it is now. The next item of the list is depreciation. Things wear out and have to be replaced some day. Thus a small amount is continuously budgeted for eventual replacements. House owners would include maintenance costs here. Since we rent, the rent is included in expenses above. We own a car however. The car is by far the largest contribution to this account. I would like to get rid of the car for that reason. It would not be beyond me to haul 40lbs of groceries in a large back pack for a few miles. I have done so before. I approximated my depreciation expenses by estimating the value of my stuff and dividing by 10 years of straight line depreciation. I expect my stuff, car, TV, clothes, to last 10 years. Naturally, the longer one makes things last, the cheaper they get. This is why I always prefer to buy quality. Computers are more tricky to evaluate. Some last 5 years or more. Others die quickly. Computers are cheap these days, so I just ignored them in the calculation. I think I can safely say that my amortization costs are 0. It’s not like I’m a brand name or try to maintain a fashionable wardrobe. If you do, I think this would need to be included in amortization. I’m not an accountant though. This is just a game to me. Yes, I have no life. Operating income (EBIT for the accounting geeks) is my wage income minus everything that is required to maintain me as an employee if someone else paid my taxes. It is my net contribution to society as a worker. The next item on the list is interest payments. I don’t pay interest. However, for people in credit card debt, particularly those who make minimum payments, this can be a major expense. It can easily add 20% of the cost of living expenses above. Other people pay me interest though. I also earn dividends, etc. Capital gains are harder to estimate. I use a more conservative long run figure of 8% of my invested assets. Sometimes it’s more, sometimes it’s less. Note that $34 exceeds my cost of living expenses of $30. Realistically speaking, expenses would rise about 4% with inflation (a hidden tax on money), thus 4% out of the 8% of my investment income should go towards growing principal. Otherwise inflation would eventually make my fixed income worthless. Many retirees have this problem which is why we are all a bunch of fiscal and monetary conservatives. Half of $34 is $17 which is below my cost of living expenses ($30). Thus I can not maintain financial independence while living in overly expensive California unless of course I use a more optimistic figure of 12%. I sincerely doubt that such returns will be possible in the US in the coming decades, but this discussion show why your rate of return is very important. NB! If I were to quit my job, I would move to a state without state income taxes, thank you very much. Speaking of taxes. A full 25% of my wage income goes towards taxes. This is not counting sales taxes (those are included in expenses). Some of these taxes are also taxes on investments. This shows why minimizing taxes is a great idea. It is not efficient for the economy as a whole to have a ton of tax lawyers or yourself working on this problem but that is the way the governments we have elected have decided to set things up, so I just deal with it. Adding investment income and subtracting taxes, this leaves me with a bottom line net earnings profit margin of 77% of my gross wage. Another way of thinking about this is that I save 77% of my gross wage income (where else would it go). This is possible since the investment income supports it. Still a savings rate of 77% is very very high. A very high net earnings percentage is the key to early retirement! I have consistently maintained it in that range for the past 6 years. If you get a number here closer to 40%, expect to spend ten years or more working towards retirement. If you use the widely recommended 15%, expect to spend 30 years or more working. So incidentally, if I was a company what would I sell for on the stock market on a price earnings basis. Well, first you have to decide whether I am a value company (P/E ~ 10) or a growth company (P/E ~ 20). Then you take my wage income, multiply by that number and multiply by 77%. That would be my market cap if I was evaluated like a company. Funny! 14 users responded in " Forget about net worth, consider the bottom line "
If people looked at themselves, and run their lives the way the best companies out there do, their lives would be a little better, at least financially. Wake up in the morning, think about your personal brand, your efficiency, various financial ratios, a report on how you did, areas you can improve on, etc. This post shows one way to look at one’s finances. Funny, yes, but also very practical. @Steve – I think there’s a ton of useful life advice/wisdom to be learned from business administration. It puzzles me that it was not part of my basic education (the K12 equivalent). Of course what they’d have taught would just have been a bunch of testable technicalities, so maybe it wouldn’t have mattered much. Interesting analysis. I did something similar for myself a few years ago, and came up with about 60% net earnings. In my case I have a mortgage, and I only included the interest portion of the payment towards my “cost of living”, which may be a bit of a cheat, but its how I look at it (I’d be curious how others see that). I didn’t include depreciation directly, but I did include a certain amount for car repairs each month (no car payment). I also didn’t include capital gains on my investments (which weren’t that large at the time). Since then I’ve found more ways to cut expenses and have much more dividends, so I may be closer to 66% now. I’m starting this process much later in life than you, but I should technically be able to retire in my early 50’s (Not that I will – I like the job I have). Not bad for someone with $0 in assets when I turned 36. I actually started to do this myself a few months back after…um wondering if I’d invest in myself and trying to make a quarterly report. While being a sufficient enough of a dork to come up with my free cash flow and debt:asset ratio. I stopped short of the last few calculation you made. I have now been intellectually taunted to add a few more calculations to our personal 10Q’s. still goes to an old blogspot url. You might want to do a search/replace of the site for any leftover blogspot linkages. This analysis strikes me as sort of misleading, and the problem is the normalizing. This is because cost of living for a sort of “basic life” is roughly fixed–let’s say it requires $25,000 per person/year–whereas one’s gross earnings can be any multiple of that. That is, one could need $25k to get by on, but one could make $25k, or $50k, or $100k. As that income number changes, the percentage saved changes dramatically, from 0% to 50% to 75%. In fact, if one made, say, $1 million/year, the % saved would now go to 97.5%! Sure, some childish people find ways to burn through even a million dollars a year, wasting it on silly luxuries, but my point is, if 10 people agree to live at your level of “ERE luxury”, the % saved is going to depend greatly on their income. Another way of saying this is: Anyone could easily save 77% of his income–provided he made enough money! Perhaps this belongs in a different segment but when you are building out this investment portfolio to use as your source of expenses, do you keep the earnings as reinvestments until ready or pull them into your cash holdings? The latter would have you progressively modifying your savings/net_income from 10%, 11%, 12%… as you increase your portfolio returns. Financially, reinvestments are generally cheaper but psychologically you are not realizing any value in your efforts. Considering that this takes years to materialize, how much of this is practically executed as a reinvestment without seeing any returns? @Tom – For me there’s no psychological benefit by assigning money to one account or the other. Cash gets invested as much as possible when the market conditions are there. @cm – I’m not sure how old your post was… the “basic life” expense is actually much lower than most people realize. You chose $25,000 in your example, but that is more than four times what Jacob has proven is possible to live on. Thus his example using the median US salary (or slightly less) is applicable to a large majority. I compiled a “Income Statement” and converted what I got in to a google doc. I will likely have to revamp a bit to distill the same info out of a tax return. I wanted to compile quarterly updates for my own curiosity, so I decided to start with my most readily available income statement, my paycheck. Feel free to copy/hack as you chose, although I’d recommend changing the permissions immediately after copying. Comments welcome. I know that the there is room for modification on how I treated 401k deposits from my pay check and how I handled loan dispersement. Both of those will be figured out once I address cash flow and balance sheets which typically house investment and loan accounts.